Buchman Bookworks, Inc., 9781945740831, 264pp. Ridley Claremont III, wealthy son of a Californian vintner and his trophy wife, discovers the shallowness of his life when his parents are killed in a car wreck. Seeking forgetfulness on a motorcycle driving the European backroads, he stumbles into the tiny cliffside town of Corniglia. Vibrant life greets him around every corner: food and flowers, gelato and friendship. And the wine, most especially the wine. A man who never faced himself and a woman who finally has, meet in the only place they can. 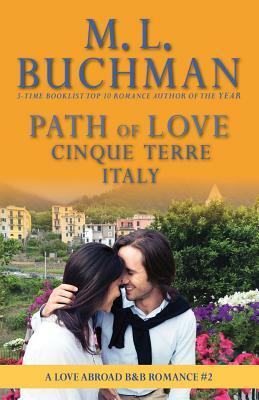 Along the Via dell'Amore, the Path of Love, in Cinque Terre, Italy.